The BSA Support Fund, which has recently been increased from £250 to £1000 per application. This is available to UK Concessionary members – including students – providing financial support for research related expenses, attending conferences and study group events, and thesis production costs. To find out more and to apply, go to the BSA website. The Postgraduate Forum Regional Event fund is available for postgraduate students across the country to organise and run their own one-day events. PG students can apply for up to £1000 per event, and the BSA are currently seeking proposals for events to be held in 2019. The event should be £5 for BSA members and £15 for non-members to attend. The grant can be used to pay for room hire, speakers, lunch and refreshments (please note that alcohol cannot be purchased using BSA funds). 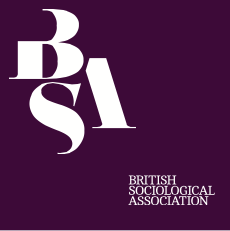 The BSA wants these events to express and highlight the diversity and dynamism of the postgraduate experience, and to be held across at universities across the UK. For more information and to apply, see the BSA website. The PGForum encourages all PG students to get involved, apply for funds and organise events. This is your chance to make the most of your postgraduate years and gain some valuable experience.